We’ve said it before and we’ll say it again, knowing your audience is incredibly important to building your brand as a content creator. What age is your average reader? Are they male or female? What are their interests? These fundamental demographics will help inform what content you create, when you post it, and where. It will also help you to understand which of your readers are most engaged with your content and what topics they are reading. But we’re here to tell you about an important update from Google Analytics released in late 2013. This update means that Google Analytics now includes demographic and interest reports. 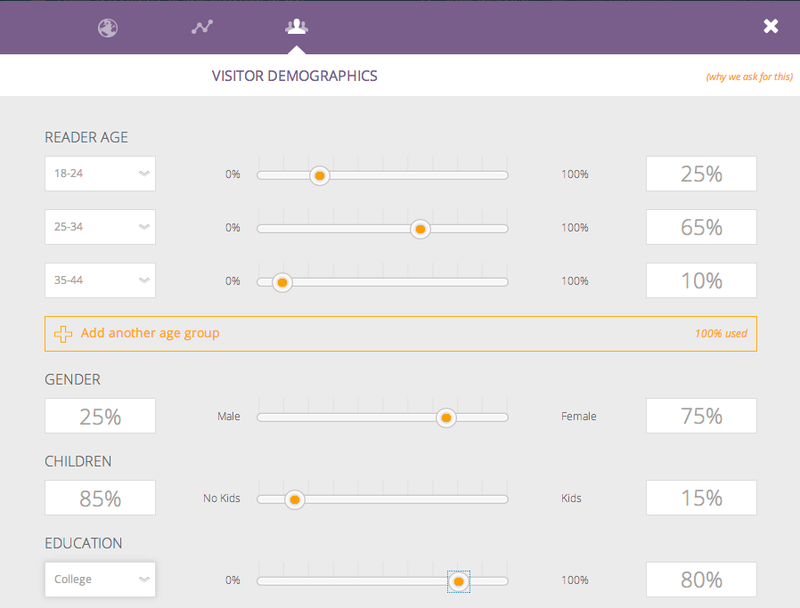 With this tool, you can segment your audience by demographics, such as age and gender, as well as by interest categories. By running, viewing, and understanding these reports, you’ll get a better idea of who your readers really are and you’ll be able to better your relationship with them. This information can inform your brand’s decisions, from content to sponsorships, and set you up for growth and success. To enable these reports, you’ll need to make a one-line change to your Google Analytics tracking code and set the enabling options in Analytics. Once you have the updated Google Analytics installed on your site, make sure you also update your TapInfluence Media Kit to reflect your newly discovered audience demographics. Brands will use this information to determine if your readers are the type of end consumer that they are looking to target with their upcoming campaign, and will be able to send you relevant opportunities via the Marketplace. This is just another way in which knowing your readers helps you to build a successful, and profitable, brand! Update your TapInfluence Media Kit with your visitor demographics.